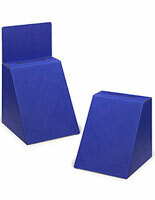 Lightweight corrugated material construction for low prices. 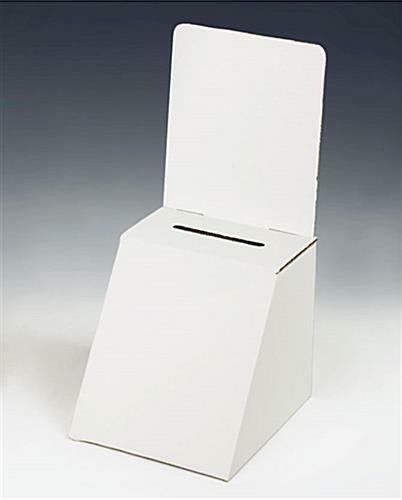 These cardboard ballot boxes are priced for establishments that are on a tight budget! 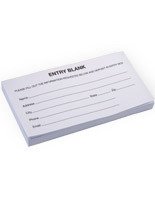 Users can buy in bulk to place the retail fixtures throughout the venue. 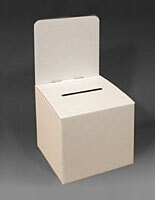 These cardboard ballot boxes work well when collecting lots of information. The retail fixtures include a removable header. 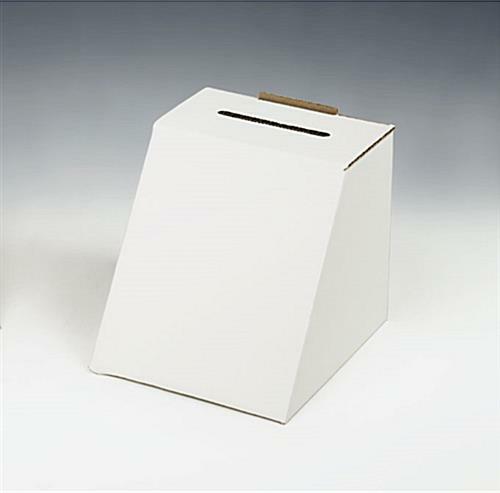 These cardboard ballot boxes offer plenty of space for custom written and printed messages. 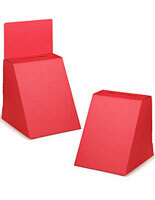 The promotional displays are crafted out of sturdy white colored corrugated materials. 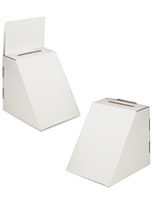 These cardboard ballot boxes are 6"h x 8"d to garner notice on the counter. 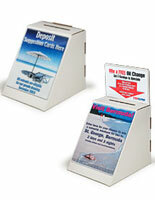 The retail fixtures have a drop slot that is 3.5"l x 3/8"d so customers can quickly drop their votes. 5.0" x 13.0" x 20.0"